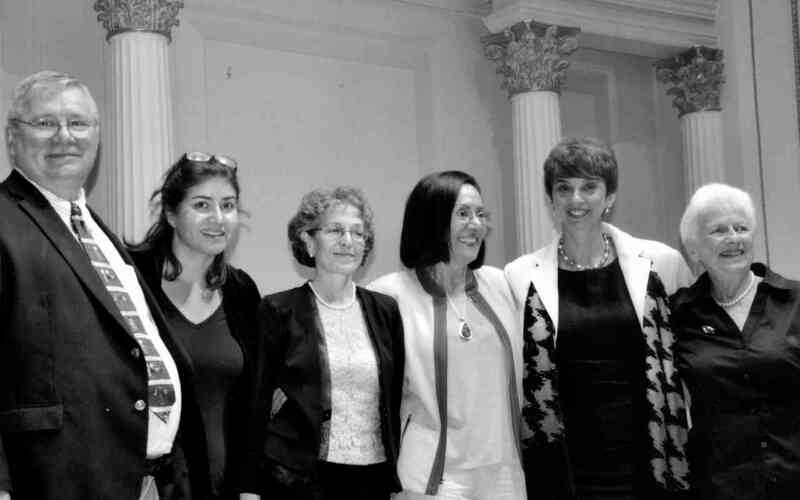 The last week of May was a week of 40th Anniversary Celebrations at Carnegie Hall for The School for Strings, the path-breaking Manhattan Suzuki school and teacher training center founded by Louise Behrend. Wednesday, May 25, the School presented its piano department in two solo recitals in Carnegie’s Weill Recital Hall. Every student in the department was showcased, and they performed to enthusiastic audiences. 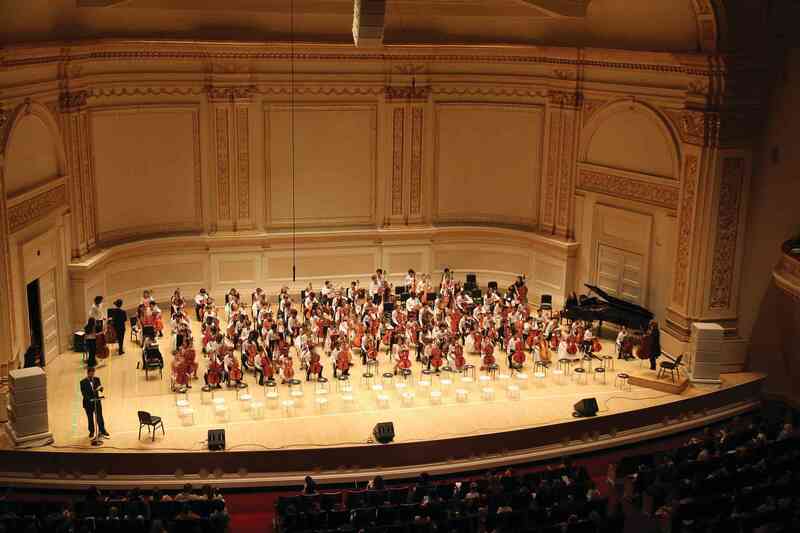 Friday afternoon, May 27, the School sponsored a String Festival in Carnegie Hall’s main Isaac Stern Auditorium. All of the School’s violin and cello students, joined by students of the School’s teacher-training graduates, participated, a total of almost 1,000 students. I have to tell you how much I enjoyed my trip to New York to celebrate the 40th Anniversary Concerts of The School for Strings at Carnegie Hall. Both the Piano Recitals and the String Concert were very wonderful. All of the children played with happy hearts, and I want to commend you and thank you for all of the work you do for the happiness of children. I was also pleased to see how much Dr. Suzuki’s ideas and his philosophy have been successfully developed in the United States. 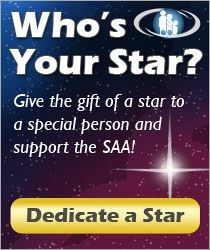 I am sure that Dr. Suzuki would be very proud of all that you have accomplished. 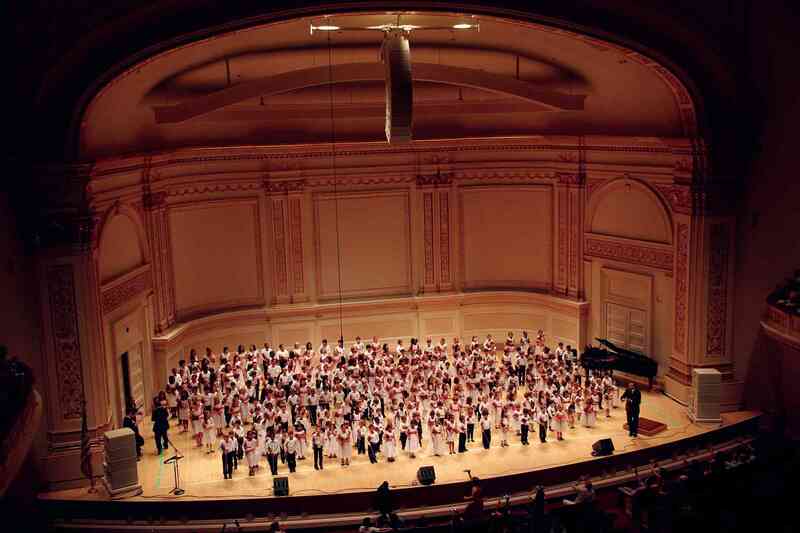 I myself was very happy to play the violin with American Suzuki children at the world-famous Carnegie Hall. Congratulations again on all of your fine work, and I hope our paths will cross again in the near future. It’s safe to assume that you all know that old joke about the tourists in New York City they’re probably from the Midwest, maybe Missouri. They’ve lost their way when they spot a guy carrying a violin. In some versions of the story the guy is Mischa Elman; in other versions, it’s Jascha Heifetz. They figure a fellow with a violin must know, so they ask him, “How do you get to Carnegie Hall?” The answer, of course, is “Practice, Practice, Practice!” It’s a good story, but the punch line tells us, really, very little. If you stop to think about what else it takes to get to Carnegie Hall, you could probably write a book. Among other things, getting to Carnegie Hall also takes Vision, Vision, Vision! Louise Behrend was one person who made a huge difference by working tirelessly to make her vision a reality. 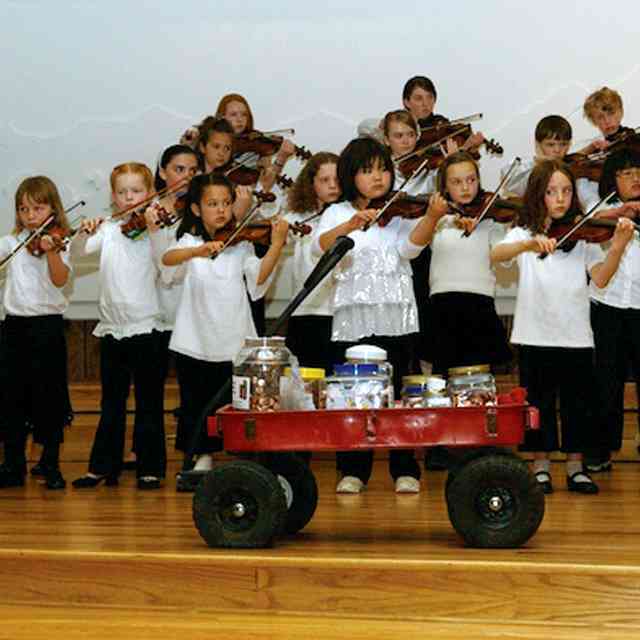 The School for Strings began forty years ago as an idea by its founder Louise Behrend. Miss Behrend wanted to establish a center to train teachers in what was then a new approach to music education. It was an approach created by a relatively unknown Japanese violin teacher: Shinichi Suzuki. As a beginning teacher in Michigan in the late 1980s, I wrote Miss Behrend a letter and asked her, “If you could give one piece of advice for a successful Talent Education program in the United States, what would it be?” Her response: “Well-Trained, Enthusiastic Teachers, and Informed and Willing Parents.” Louise was always quick to credit the assistance of others, especially Sheila Keats, with helping to make The School for Strings a going concern. Still, there’s no doubt about the fact that Louise was a major force behind getting almost 1000 skilled young string players to the stage of Carnegie Hall on Friday afternoon, May 27, for the spectacular School for Strings 40th Anniversary Celebration Concert. I was deeply honored to serve as the Master of Ceremonies for that afternoon. In addition to Practice, Practice, Practice, it took Connect, Connect, Connect. Every one of the performers in that concert had a special connection to The School for Strings. They were current students in the School, alumni of the School, or current students of teachers who graduated from The School for Strings Teacher Training Program, a program that has produced over 500 teacher graduates who are teaching around the world. That number alone is staggering. I think we’d be hard-pressed to name any other person who was so instrumental in getting so many performers to Carnegie Hall. The loss of Louise Behrend, one of our renowned pioneers of Suzuki method, has been felt worldwide. Perhaps no one feels this loss any more strongly than the faculty of The School for Strings, the school which Louise founded and developed. Outstanding as a teacher, Louise Behrend was equally outstanding in her visions and development of this fine school of Suzuki instruction in the heart of New York City. Louise showed her wisdom when she placed the Piano Department under the capable hands of her fine friend, accompanist, and colleague, Sheila Keats. As a result, the piano program joins the string program in thriving there. Ms. Keats has provided the teacher training for all of her piano faculty and the quality of their piano program is exceptional. Louise Behrend has left a strong legacy for The School for Strings. Speaking as a pianist, I am positive her legacy is being fulfilled in that department. They bring honor to all for which Louise stood. 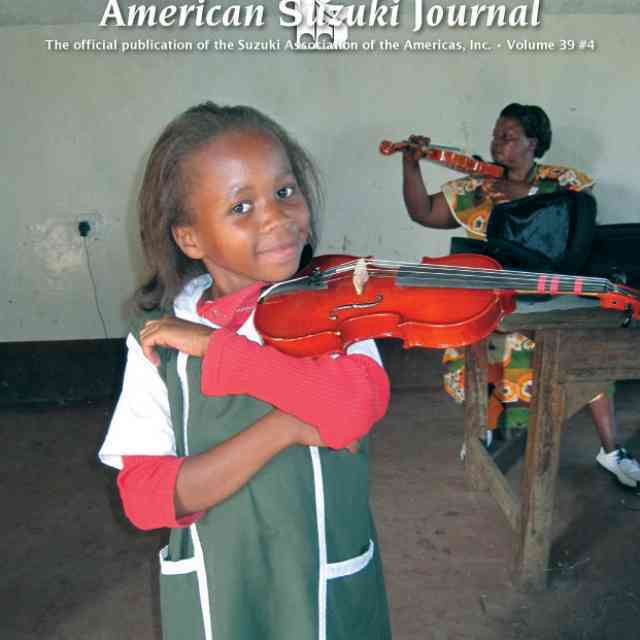 The School for Strings, which grew out of a small Suzuki Program of twenty violin students and three apprentice teachers-in-training, became the first Suzuki-based community music school in the Greater New York area. Today there are countless Suzuki programs in the area, most of them staffed in large part by graduates of the SFS Teacher Training Program. The School is one of the few independent music schools offering long-term teacher training in violin, cello, and piano. Its teacher training graduates are now teaching throughout the United States as well as abroad; the alumni of its program for training children have gone on to study in the country’s top conservatories, colleges, and universities, and to establish themselves successfully in careers in music, law, medicine, and many other fields. Alexander Yudkovsky (Sasha) performed extensively as soloist and chamber musician throughout the United States and Europe. He has performed at Salle Pleyel in Paris, Herkulessaal in Munich, Auditorio Manuel DeFalla in Granda and at Salle Molier in Lyon. 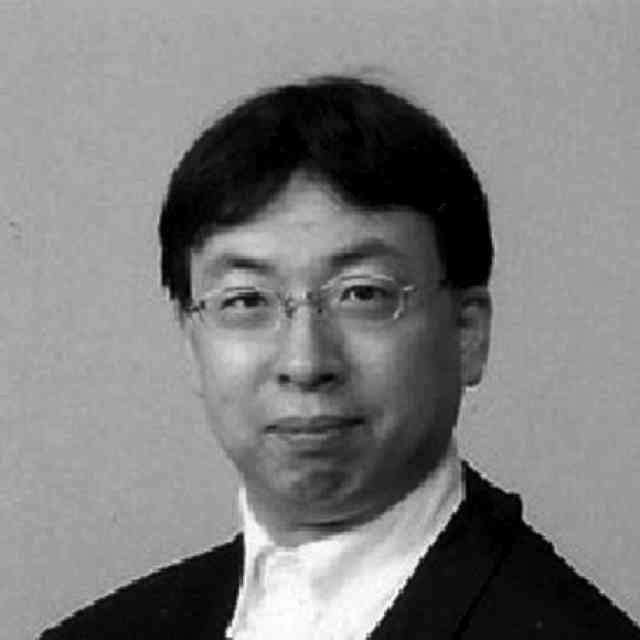 He has appeared on tours as a soloist with the New American Chamber Orchestra and with the Brandenburg Collegium, performed with Amsterdam Kamerorkest and Rotterdam Philharmonic and served as Concertmaster of Connecticut Grand Opera. Sasha was a regular chamber music participant at the Spoleto Festival, both in Charleston, S.C. and Italy and for over ten years served as a co-Director of Lighthouse Chamber Music Festival, where he collaborated with such artists as Bernard Greenhouse, Aaron Rosand and Robert White, among many others. Sasha was born in Leningrad, U.S.S.R. and came to the U.S. at the age of fourteen. He received his musical education at the Leningrad Special Music School, the Juilliard School, and the Rotterdam Conservatory. Since 1994, Sasha has been serving as the Executive Director of The School for Strings in New York City.